Sick Day Box contains everything you need to make it through a sick day. If you’re not prepared, a sick day can be miserable. Taking a day off work is often not as fun or romantic as taking a day off school was as a kid. Missing work means falling behind, and staying home means being miserable in bed. Sick Day Box is a preemptive precaution, like an earthquake kit, intended to be used only when its owner falls ill. The box claims to contain “everything you need” to make it through a sick day, including a thermometer, ginger drops, chicken noodle soup, herbal tea, cough drops, saltine crackers, ginger ale, hot cocoa, breath mints, Emergen-C, and tissues. 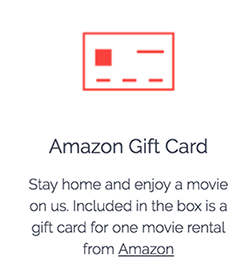 Sick Day Box even comes with an Amazon gift card redeemable for one movie rental, so that you can watch whatever you feel like watching on your sick day. All of these items are included in the box’s $29 price tag, which comes with free shipping. 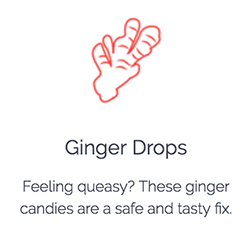 Although you could probably buy all of these items individually for cheaper, Sick Day Box is betting most people won’t have the energy to do so. It’s better to have a box ready for whenever you do need to take some time off, so that you can get some rest and relaxation without having to worry how to best take care of yourself. 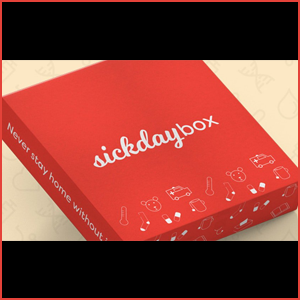 Sick Day Box is a great idea that could make a good gift for the upcoming holiday season.